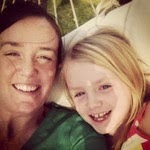 My name is Jaimie and I originally started this blog, along with my family's blog, back in 2008. It was at a time right before our 3rd child was due and I was transitioning from working outside the home full time to working inside the home full time. I had opened up an Etsy shop (tangledshoebox) and thought to use this blog to do posts about the process and details about the products that I was making. Between having a just-turned-three-year-old preschooler, 18 month old, and newborn baby at the time, this blog, along with the Etsy shop pretty much fell to the wayside. It was always in the back of my mind though. And from time-to-time I posted new things on Etsy, but didn't touch this blog. I figured any time I had, I should update the family blog, especially since I had a brother in San Francisco and sister in Manhattan. It was a good way for me to record some weekly pictures and stories of the kids and they were able to be updated as to what was going on in our lives. (That, too, hasn't been updated in for. ev. er). We had a fourth child in 2010 right after we moved. So now we have 2 kids who are in school full time, 1 in part-time preschool, and 1 at home full time. This, combined with them actually sleeping at night, is now allowing me the opportunity to focus and work a bit more on this blog, my family's blog, and Etsy shop. Even though I thought I'd only be making jewelry for tangledshoebox, I have been trying to branch out and offer more of a variety of products, such as prints, small bags, and other misc. things. I love doing arts and crafts and different projects, especially with my 4 amazing girls. I hope to share some fun ideas that may pop up here and there on this blog. I'd love to hear from you and am open to any questions and/or suggestions.